All across Mid & South Wales, covering Abergavenny, Usk, Monmouth, Crickhowell, The Valleys, Chepstow, Newport, Cardiff, Bridgend, Swansea, Carmarthen and Pembroke. 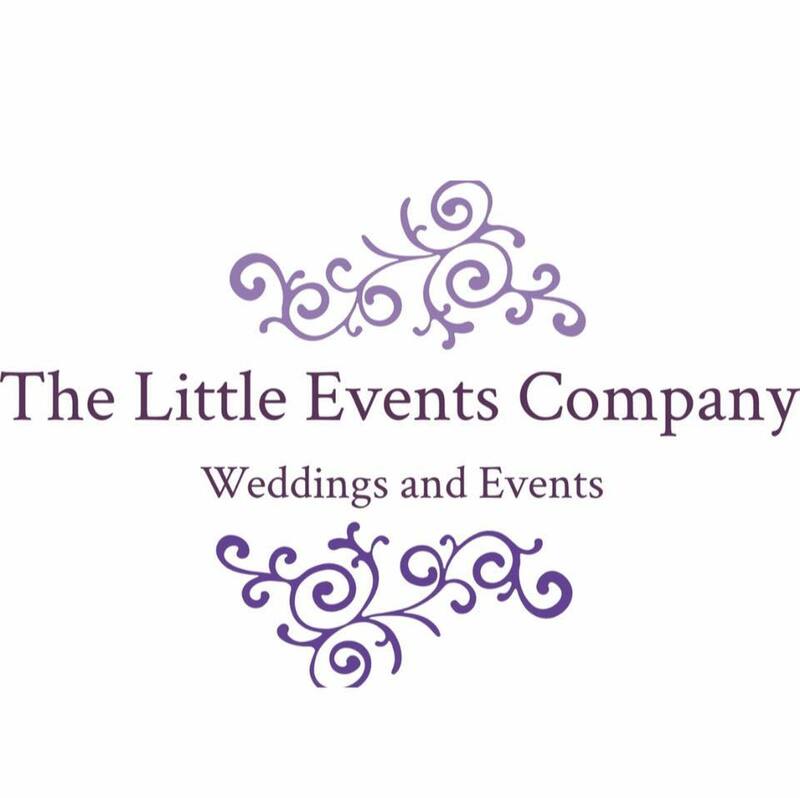 Based in Ebbw Vale and trusted by many of South Wales top hotels and wedding venues. All these photos are of our actual equipment. With so many brides wanting vintage themed weddings. 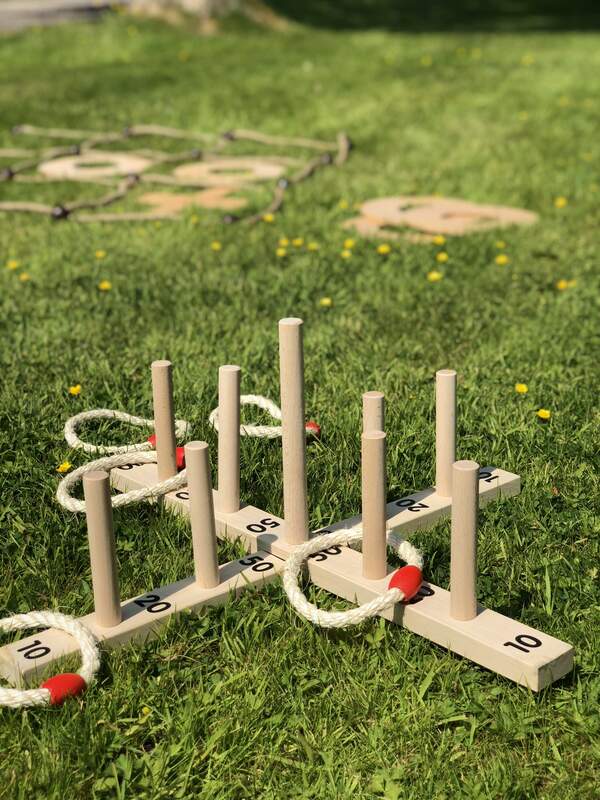 What is more vintage than traditional wooden garden games to get guests interacting and having fun. 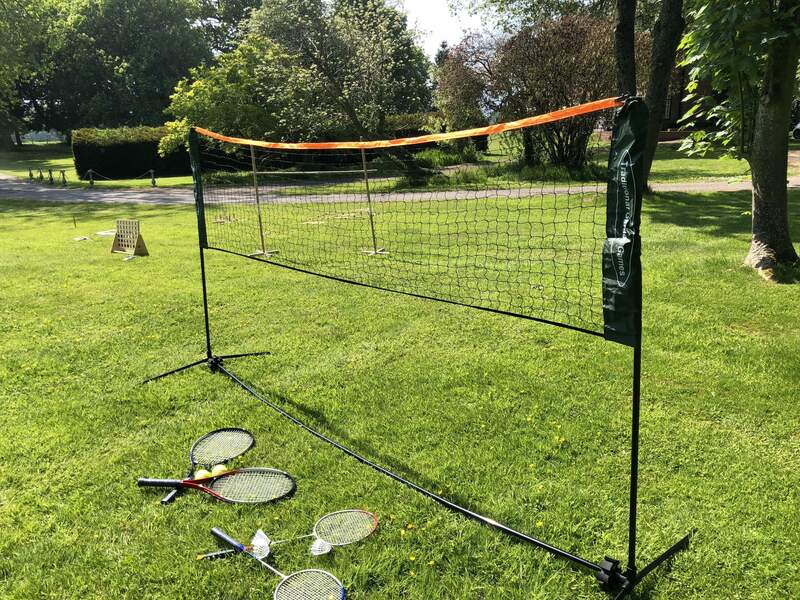 Tennis or Badmington set for lawn games A great set for parties and weddings. 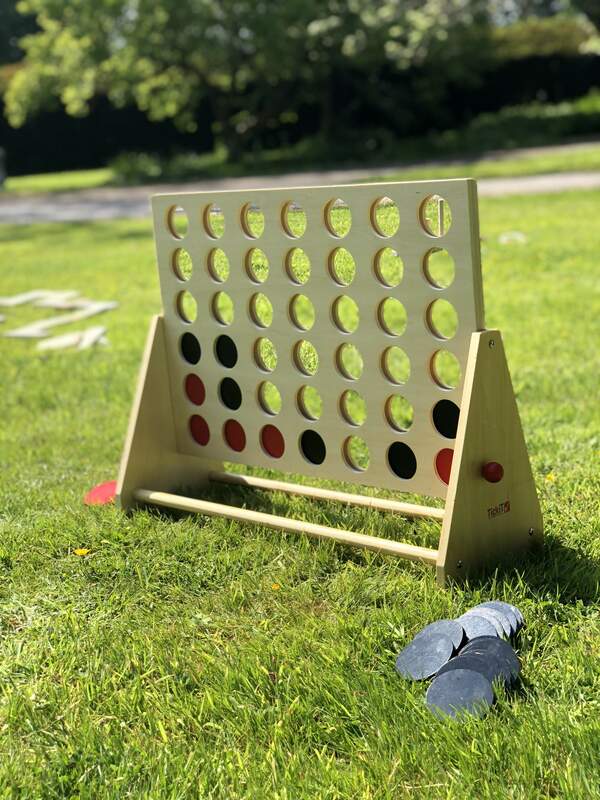 If you are having a outdoor event, summer wedding or party and want some fun games to entertain your guests, then these are ideal. In an age of video games and smart phones, these are games that every generation can play together. All our games are made from quality materials and designed to look and feel like quality games. Easy to use, easy to play and yours for the whole weekend if requested, so no rush to get them back to us. 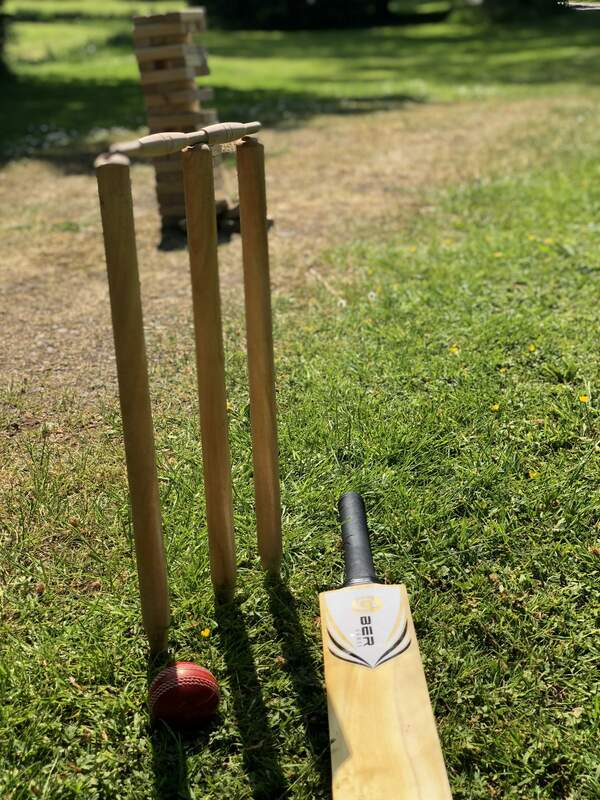 Our games are also great photo opportunities for guests using their own phones and cameras or for professional photographers taking those special pictures of the happy couple. 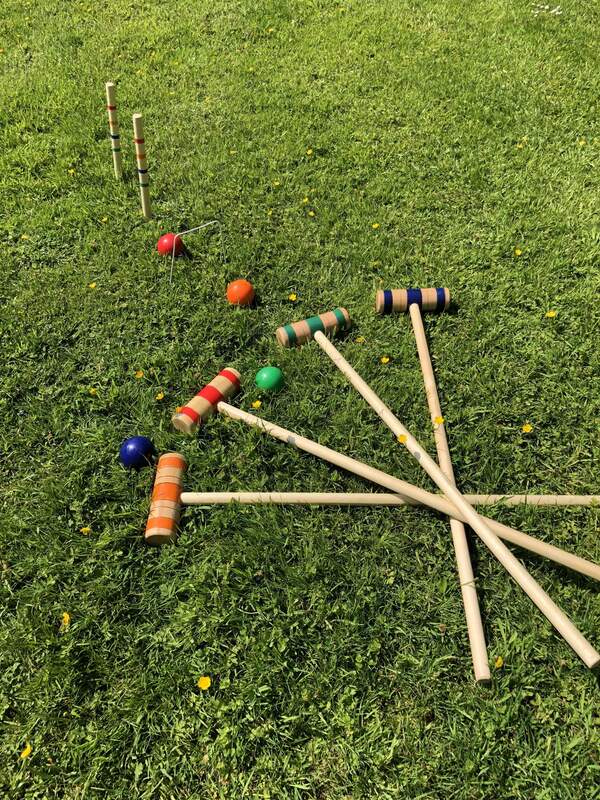 These games will help keep children and adults occupied, hopefully together and take us all back to the days when playing outside was the norm and before games where on our phones and children were entertained with iPads. 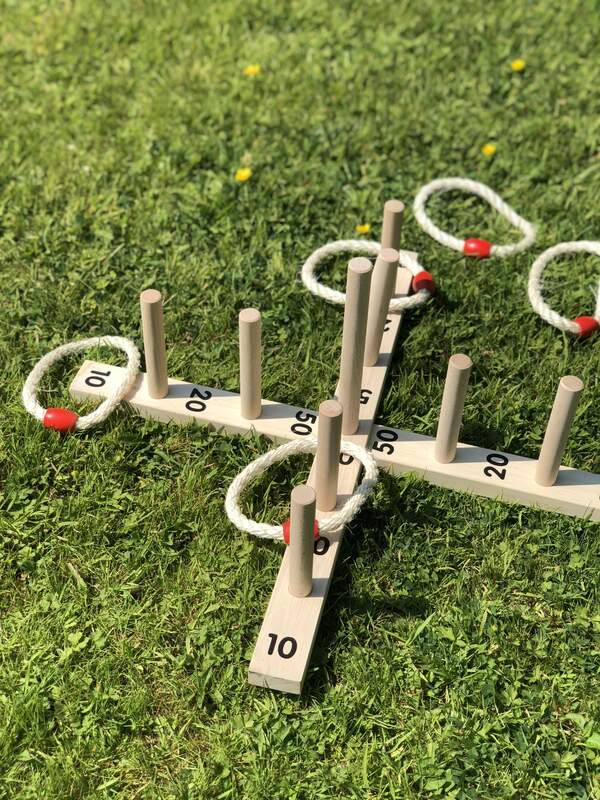 These are outdoor games but can easily be played on carpet too, just in case the weather changes. After all, we live in Wales!! 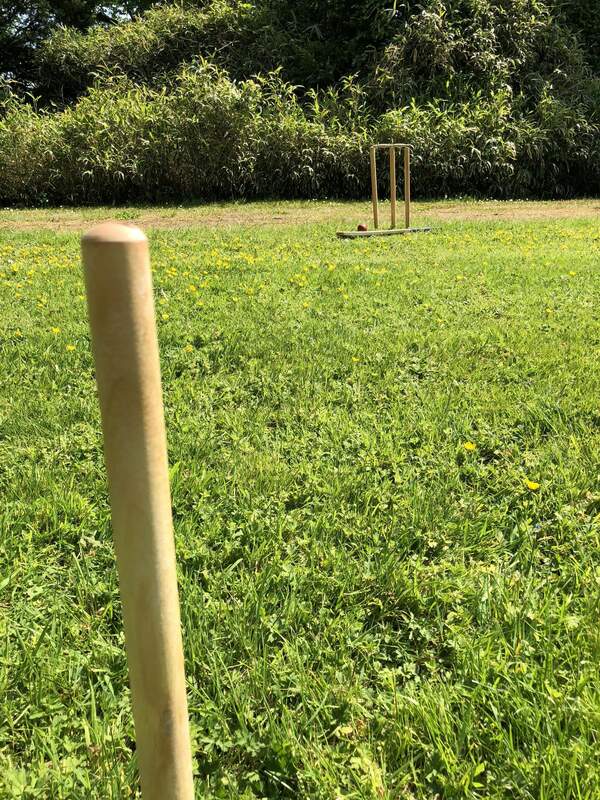 Our games are used for private weddings using marquees, and in some of Wales top wedding venues like, Canada Lakes, Maes Manor, Hensol Castle, Miskin Manor, Llansantffraed Court, Glen-yr-Afon, Byrn Meadows, Sugar Hill, Llanerch Vineyard and the list continues. These are ideal for children from 3 - 103 years old. 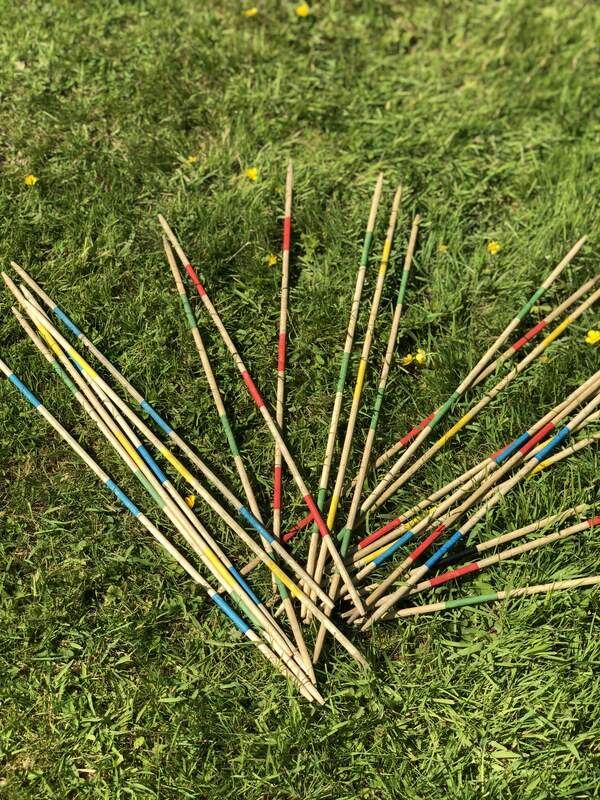 These are premium, wooden games and although children can play with them, we always recommend and adult is with them to prevent losses or damages. Platinum Package : 25 Points. Additional points can purchased to add extra games if required. 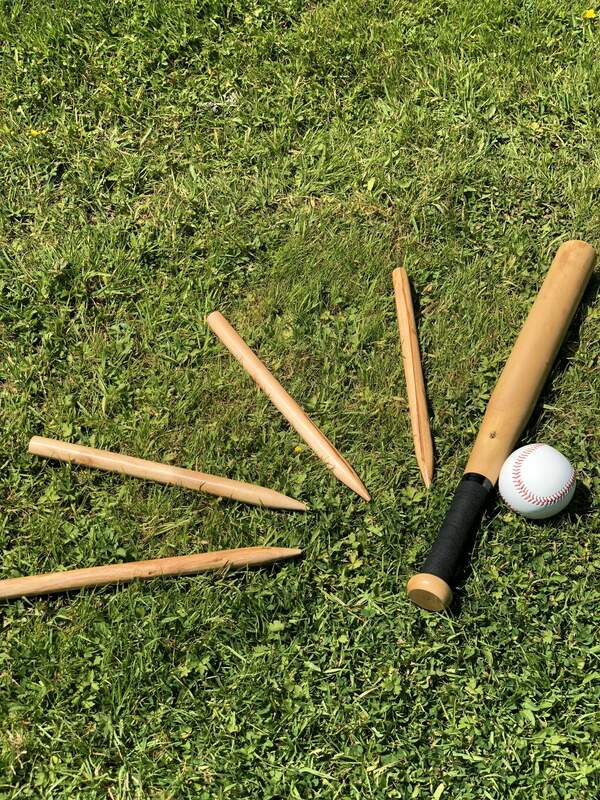 Wooden Cricket Set, we use a softer ball. 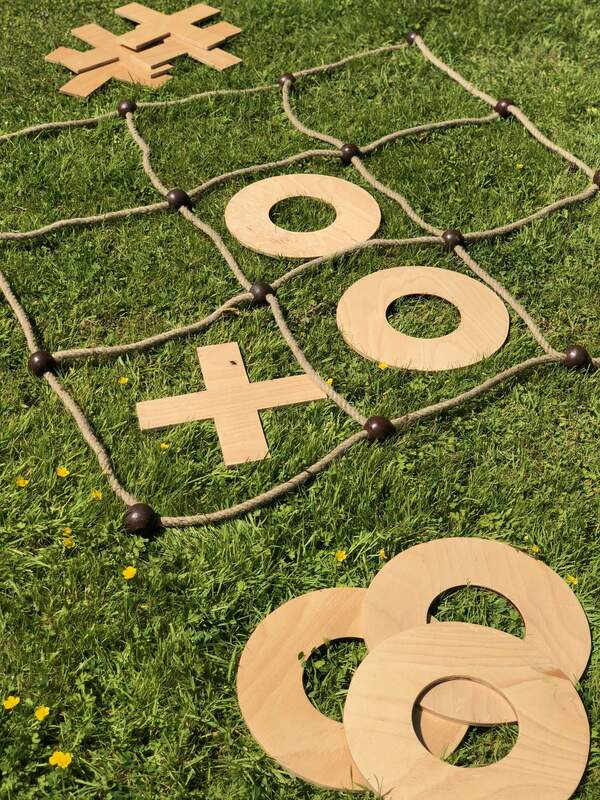 Garden Wooden Noughts & Crosses with a rope "frame"
8 ft Beer Pong / Prosecco Pong Table. Plastic beer and / or Prosecco cups included. Contact us for package prices, which includes drop off to your venue, two day /weekened hire and collection. Every hire is different because of location, length of hire and the time of year. So it stands to reason that we need to take each enquiry into consideration to give you an accurate quote. Games will be provided to you unmanned by us. Some may require assembly, however full instructions are included. 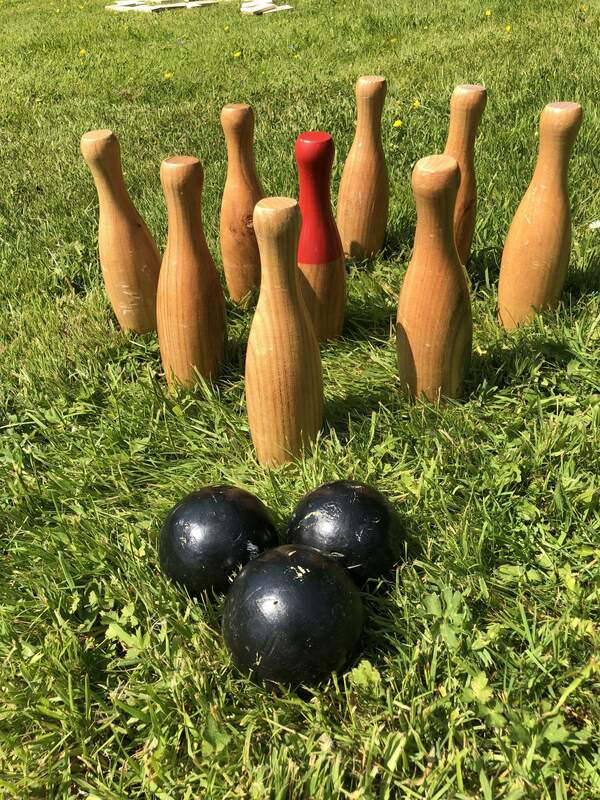 Should you require us to either set the games up or man the games for the duration of the hire, then please let us know. There will be an additional charge for this service. Free delivery and collection to your chosen location or venue. Standard Weekend hire, from Friday to Monday. Longer hires available and prices available on request. 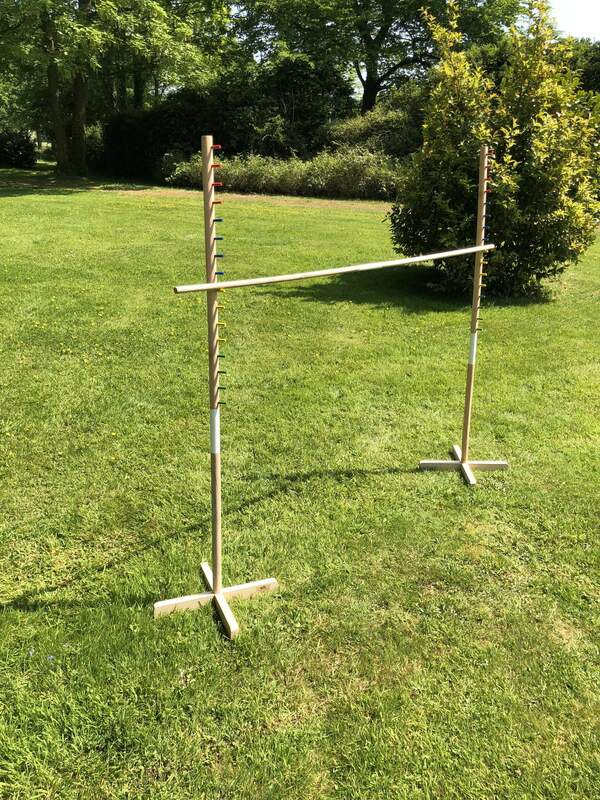 PLEASE NOTE: THE HIRER IS FULLY RESPONSIBLE FOR THE GAMES FOR THE DURATION OF THE HIRE. THE HIRER WILL BE CHARGED FOR MISSING AND BROKEN PARTS. MANY GAMES WILL REQUIRE REPLACING AS PARTS ARE NOT AVAILABLE IF PIECES ARE MISSING OR DAMAGED. THESE ARE EXPENSIVE, QUALITY GAMES AND SHOULD BE TREATED WITH RESPECT. CHILDREN SHOULD BE SUPERVISED AT ALL TIMES. GAMES SHOULD NOT BE LEFT OUTSIDE OVERNIGHT OR LEFT OUT IN THE RAIN. THE WOOD WILL EXPAND AND GAMES CAN BE RUINED.